Can Nonprofit HMOs Save Medicare? Several years ago, when I was working at the Washington Monthly, Paul Glastris recommended that I read a piece about Social Security private accounts written by Phil Longman. I read it, and my reaction was meh. That turned out to be a mistake. I’m still not really in favor of private accounts (pay-as-you-go funding works fine), and the transition costs would need to be honestly funded if you adopted them, but once I gave Longman’s plan the thought it deserved, I realized that it was probably about the best private account plan out there. Details here, if you’re interested. government should do the following: announce a day certain and near when Medicare will be out of the business of subsidizing profitdriven, fee-for-service medicine. 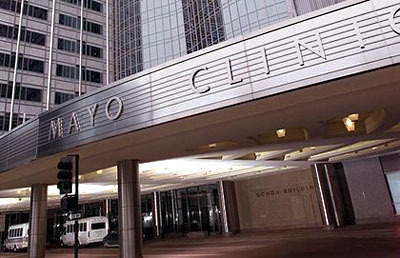 Going forward, Medicare should instead contract exclusively with health care providers like the Mayo Clinic, Kaiser Permanente, the Cleveland Clinic, Intermountain Health Care, the Geisinger Health System, or even the Veterans Health Administration. All these are nonprofit, mission-driven, managed care organizations widely heralded by health care experts….Because doctors working at these institutions are not compensated on a fee-for-service basis, they are neither rewarded for performing unnecessary tests and surgeries nor penalized financially for keeping their patients well. And unlike for-profit HMOs, these institutions are not pressured by shareholders to maximize earnings through withholding appropriate care. So here’s my question: are these nonprofit HMOs really that great at controlling costs? Over the past 30 years, if their costs have been going up by even a little less than average — say, two percentage points less a year — their premiums would cost half the average of your standard fee-for-service plan. So has that happened? I’m not sure where to get reliable data on this, but I doubt it. If nonprofit HMOs were really accomplishing a minor miracle like a 6% annual cost increase instead of an 8% increase, every corporation in America would be contracting with them for business by now. But that doesn’t seem to be the case. As a single data point, here’s an OPM summary of premiums for various healthcare plans for federal employees. Kaiser is the only one of Longman’s nonprofits on the list, and their average price for an individual premium is $235. The average price for an individual premium from all the national fee-for-service plans is $230. A single data point doesn’t mean much. For one thing, the Kaiser plans were both for California, which is a high-cost state. And government regulations probably compress the price list. Still, they certainly don’t seem to be charging dramatically less than the big national guys. Maybe I’m missing something here. I’m a fan of the Kaiser/Mayo/Cleveland Clinic model, and I’d like to believe that it could be scaled up nationally and serve as the basis for lower-cost Medicare coverage. But except for the VA, which is something of a special case, Longman doesn’t provide any numbers to suggest that nonprofit HMOs have found a consistent formula for keeping costs down while still providing high-quality medical care. More data, please.